Retreat to the tranquility of nature where the cry of the fish eagle wakes you to an awesome sunrise. Treat yourself to a memorable, peaceful weekend away from the hustle and bustle of everyday life in the comfort of our self catering apartments. We are pet friendly. Please contact Lynne for more details. Reflexology & Indian Head Massage Heaven on Vaal – Relax in the tranquil Heaven salon & have Erna give you the best treatment you could wish for. Book directly with Erna 063 631 2148 to secure your spot. Afristay 2018 Best Value Establishment Award Winner. 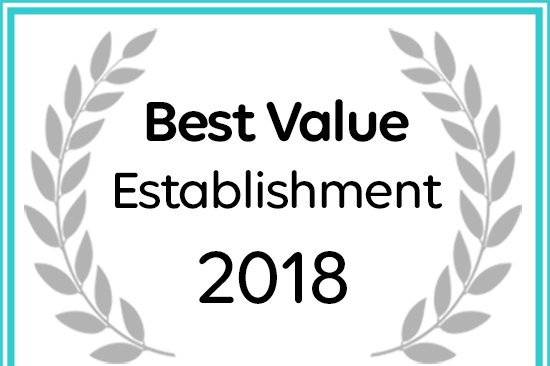 Heaven on Vaal has won a 2018 best Valued Establishment Award!